With the rise of computer and social networks, crowdsourcing is changing the way we fund ideas, raise awareness of important issues and motivate community action. Citizen science projects is also a growing trend that lends itself to the crowdsourcing concept, providing opportunities for interested citizens to use their computers and/or time to help with scientific research. The basic idea isn’t necessarily new, for many years organizations like the Earthwatch Institute have engaged volunteers on the ground and around the world with scientists pursuing research of all types. In 2007 we participating in one such project with Dr. Peter Kershaw called Climate Change at the Arctic’s Edge. But the citizen scientist doesn’t have to travel to the Canadian Arctic, or anywhere else, to help further scientific inquiry and improve our understanding of the world around us. OldWeather.org is a project that helps scientists recover Arctic and global weather observations made by U.S. ships since the mid-nineteenth century. 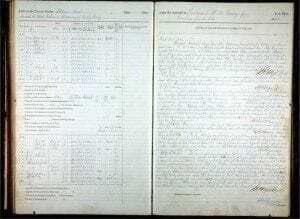 Volunteers help transcribe and digitize these log records, improving our knowledge of past environmental conditions and contributing to future climate model projections. The better we understand our past, the more accurately we can project possible future scenarios. “We hope to unlock millions of weather, sea ice and other environmental observations which are recorded in these documents,” said NOAA Administrator Jane Lubchenco, Ph.D in a recent Weather.com interview. OldWeather.org is a part of the Zooniverse Project, a collection of individual research projects ranging from space and cosmology, environment and biology, history and humanities, and climate. The Cyclone Center is another climate-focused project in the Zooniverse catalog. The project enlists volunteers to help record cyclone patterns of the past 30 years so climate scientists can better analyze the immense amount of data available to them in their reseaarch. The dialog surrounding global warming, at least in certain politically motivated circles, has too often cast climate scientists as suspect, as “the other,” apart from the mainstream citizen going about their daily lives. In the process science, knowledge and inquiry itself is diminished. This does nobody any good.Working side-by-side with scientists in the field in an Earthwatch project, or assisting from the comfort of home with nothing more than your curiosity and a computer, helps to bridge this gap. Citizen science is a vital piece in the puzzle of understanding our world and our future here on this planet. So check out Earthwatch of Zooniverse and join the ranks of citizen scientist! What is Old Weather from National Maritime Museum on Vimeo.